Little Da Vinci/Junior Da Vinci Creative Kids Programme/Intermediate Da Vinci Creative art Programme at participating Da Vinci Centres. 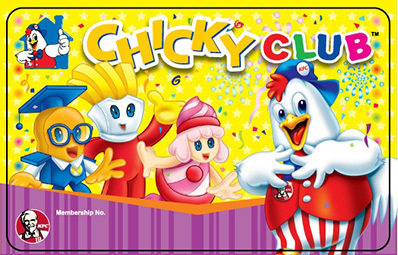 - Please present KFC Chicky Club Card upon redemption. 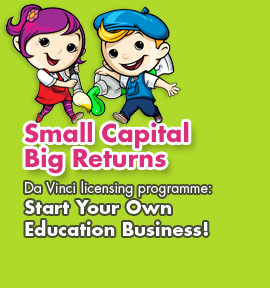 - Each student (4-12 years old) is only eligible to redeem ONE Free Trial Lesson. - Appointment has to be made at least 3 days ahead by calling the respective centre. - Seats are based on availability of each participating DV centre. - This promotion is not to be combined with other on-going promotions. - Expiry Date: 30 April 2013.